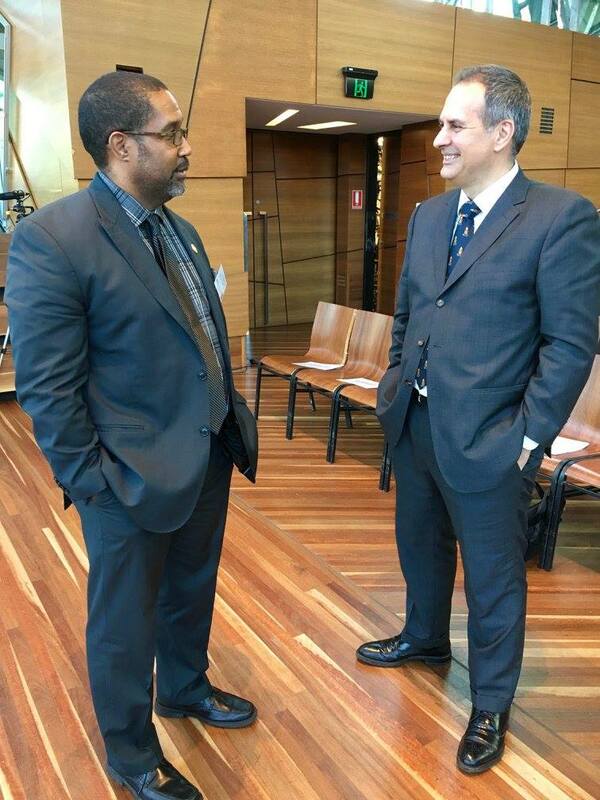 Short biography: Matthew Albert is a barrister who specializes in refugee law. Matthew completed articles and then worked in the Victorian Government Solicitors' Office. He has also worked as a legal researcher, judge's associate, and university research staff. 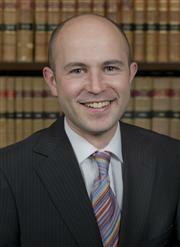 Matthew has practiced both commercial and public law since 2005. In 2012 he acted for the plaintiffs in the Malaysia Solution case and the Commonwealth in the Ashby v Slipper case. He is also the co-founder of the Sudanese Australian Integrated Learning program (SAIL). The program is a volunteer, non-profit, secular organisation that provides free English support & community services to the Sudanese refugee community. I did my undergraduate law degree at the University of Melbourne, before undertaking my articles of clerkship (now known as a traineeship) at the Victorian Government Solicitors Office. When I was at University, with a school friend, I started the Sudanese Australian Integrated Learning (SAIL) Program. It is a non-profit, volunteer-run organisation that now provides free community services and English support to the Sudanese refugee community in Melbourne, Sydney and Perth. We have about 1000 people attending each week at nine campuses across the country - see www.SAILProgram.org.au. Working with the Sudanese community here led me to work with the United Nations High Commissioner for Refugees in Kenya and to do a masters' degree in international refugee law in the UK. For me, public interest law is an ideal way to combine two parts of my life -community work and a legal career. It has allowed me to use and develop the skills and interest I have in one to inform and improve the other. Yes. One of the great mysteries of life at the Bar is how a brief ends up on your desk. So, how do I juggle the mixture of commercial and public law? By throwing which ever ball is thrown to me in the air and hoping I do not have too many balls to juggle by the time it comes back down. What are some of the challenges you have faced in your career? How did you deal with these challenges? I have had a charmed professional life in many respects. One of the best things about our profession is that there is a glut of people willing to make time to assist younger practitioners. Where there have been challenges, I have found that the easiest way to overcome them was to speak with a mentor in the profession. These people- such as John Cain (my principal during articles), Justice Habersberger (the judge to whom I was associate) and Julian Burnside QC (who has been endlessly generous to me since I forced my way into a conversation in a lift with him at the Law School in 2002) - have guided me on how to deal with each of the challenges and made suggestions about ways to overcome them. For me, this has been crucial as I have tried to navigate a legal path on my own and without any family history or connections in the legal world. Go for it! Whatever job you take on after law school, you will be able to find ways to effect positive social change - no part of society can or does have a monopoly on doing good. Put another way, the more places that positive social change can be on the agenda, the better. As young lawyers, you have an especially important role in making sure that all workplaces are thinking about how they can improve the lot of others and using your skills to help them do that. As Michael Kirby said, ‘don't [ever] forget the justice bit'. Using my work in the law to make small improvements in others' lives. I cannot think of anything more rewarding, and it is what makes me love the work I do.